... You already know well the great benefit to be acquired for one's entire life in one Elul day in Slabodka. I was once privileged to spend Seuda Shlishis with one of the Gedolei HaDor shlita in Yerushalayim. In the course of our conversation the gadolremarked: "In this generation, everyone honors Rabbi X and Rabbi Y, because they can relate wonders that these rabbis are supposed to have performed. In my youth, the person we respected most was the Alter from Slabodka. You could not relate a single wonder that the Alter had performed. We respected him because he was the wisest individual we had ever met, and he had a deep understanding of our personalities, and how to help us develop our unique potentials." Rabbi Avrohom Eliyahu Kaplan was the Alter's most beloved student. There was a close personal relationship between the two. Reb Avrohom Elya often contemplated leaving Slabodka - and did leave from time to time, feeling the intensity of the Avoda there was sometimes overwhelming. In the final analysis, however, he writes (ibid., p. 194): "One Sinai have we in our generation - Slabodka is its name! Anyone who leaves Sinai cannot hope to find another. More correctly, anyone who leaves the mountain falls into the valley..." Even when he was away from Slabodka, his heart and soul remained there. Although this is not the place to dwell on Reb Avrohom Elya's greatness, a few words of introduction are necessary. 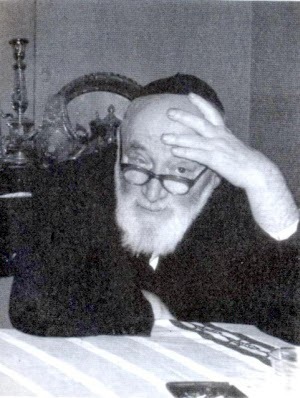 Rabbi Yaakov Kamenetsky zt"l once remarked that Reb Avrohom Elya possessed such remarkable powers that had he lived longer (he died at the age of 34), he would have restructured the entire derech halimud in the yeshivos with his proposed new commentary on Shas. (1) He was a wonderful synthesis of Telzer Machashava, Slabodker Mussar, Lithuanian Lomdus and German meticulousness. He was a gifted writer, poet and songwriter, and at the same time atalmid chochom and posek of the highest caliber. When Reb Avrohom Elya became a Rosh Yeshiva in Berlin, he brought Mussar to Western Europe. His pleasant demeanor and refined personality were the foundations, and his discourses the framework that enabled his German students to develop and perfect their spiritual selves. His personalAvoda was exemplary: "One who has not heard him read the Pesach night Hallel in lofty ecstasy in the unique melody that he wrote yet in his youth - has not seen true Jewish life in our generation. One who has not seen him dance the Kotzker Rebbe's dance in the joy of Sukkos - has not seen true Jewish joy in our generation. He was alive and gave life." His talks: "ignited hearts with the lightning flashes of his ideas, heads were enwrapped in illumination, a purifying tremor enveloped all existence..." (ibid., p. 294). Like many Slabodker students, Reb Avrohom Elya saw noble qualities in the great European movements and zeitgeists of the day. In the post-Holocaust era it is difficult for us to see significant value in cultures and ideas that did nothing to impede the worst atrocities imaginable. In those yet innocent days, however, many prevalent "isms" still possessed a romantic, even transcendent appeal, that generated contemplation. Thus, for eample, Reb Avrohom Elya has a diary entry from 5671 (1911) in which he analyzes and rejects the great Russian writer Tolstoy's perspectives (p. 250). It is hard to imagine any contemporary yeshiva bochur feeling it necessary to address the views of a secular thinker. At the time, however, such ideologies roused fervor and passion. Slabodka's young idealists found their emotions stirred. They would ponder an ideology: "How should we respond to it? What claim does it make upon us? And should we concede somewhat to it, or deny it altogether?..." (p. 154). This passage affords us a glimpse of how the Alter - who encouraged his students to grapple with great issues in their quest of growth - dealt with his students' internal struggles. The primary purpose of this free translation is to inspire and motivate. The secondary purpose is to whet the reader's appetite to pursue Reb Avrohom Elya's writings. These writings so eloquently express his Master's spirit and derech, that they will inevitably lead the reader to aspire to greater attainments in Avodas Hashem. Even though I couldn't find even one acquaintance among all the people that I saw in the terminal and that traveled with me in the tram car, they all seemed related to me. The streets through which I passed all gladdened my still heart, as if they were calling to me and saying: "Here you are, drawing closer to Slabodka. Another street, then another, the bridge, the sand, Yorburg Street - and, then... the Yeshiva, the Rav's (3) small house. And then... the Rav himself!" But who knows if he's here? Perhaps he hasn't yet returned home... While walking on the bridge, my eyes began to glance around with special eagerness. Perhaps I might meet one of my friends. There at a distance, two young men are coming closer! Who are they?... Perhaps Yechezkel (4), or another one. My heart started pounding... But I was mistaken: A young Ben Torah that I did not know passed by. I passed over the entire bridge and did not meet a single acquaintance. I became angry. Another unfamiliar bochur passed by and I greeted him angrily, thinking inwardly: "Be it as it may! Perhaps I do know him but have forgotten..." So distorting was my powerful desire to meet some Slabodker that I knew. This is a bit of that Slabodker egoism! By now I was already standing by Chaim Meir's (5) doorway. Before I managed to open the door, it opened before me, and opposite me came, nodding and smiling - Yechezkel himself. "Shalom Aleichem - Aleichem Shalom!..." - "Is the Rav here?" - "Not yet," answers Yechezkel, "tomorrow." Yechezkel arose and said: "Let's go!" We scattered, each to his own way. Yechezkel and I remained to stroll on Slabodka's dusty and stony main street, waiting for each other with a little embarrassment and anxiety, wondering where to begin our conversation. Indeed, "Fools when will you learn!" "We come now from the material vacation to the spiritual vacation: From the months of Tammuz and Av in the forests and the fields to the months of Elul and Tishrei in the house of the yeshiva. What distinguishes that vacation from this vacation? We know, of course, that just as that vacation is essential to fortify the body, so too this other one is necessary to heal the soul. Even more so, for all are sick vis a vis Elul..."
- Indeed, Am I an "Elul"-seeker? Am I a yarei Shomayim? How amusing and how pathetic, that I can ask these two questions in quick succession, yet they do not contradict each other. When later I went out into the street I met Shaul Margolis (6) walking alone, stick in hand, eyes fixed on it, pacing slowly and pondering. I saw him from a distance... I knew instantly that he had something to say to me. And indeed! "The man is amazing," Shaul said as I came to him, "He is mighty beyond compare. The man comes from Krantz, sits next to the table, surrounded by youngsters, and immediately begins from where he left off two months ago... He speaks pleasantly, clearly, sincerely, and [yet it is] his silence [that] is [most] profound, sure and penetrating to the heart... When he is silent, it seems that he has nothing at all to relate about all that transpired with him through the entire summer, what he met and whom he saw. He forgets it all, forgets himself (7) - and is silent... This restraint of all emotions upon careful consideration is true mightiness. Mighty!..." It is a time of true and thorough pleasantness: Every matter is clear, every thought succinct and every movement measured and balanced. The entire experience bespeaks tranquility and sincerity [ne'emanus]. There is no confusion nor haste. He stands before us and states his complaint: People [outside Slabodka] lack belief in the power of Mussar. They do not acknowledge that the young men here genuinely involve their hearts, more or less, in the subject of yir'as Shomayim. Though he tries to impress this upon them, they remain adamant. They claim it is all superficiality, verbal pilpul, an empty and muddled waste of artificial ideas. Immediately after this complaint he consoles himself: In the final analysis it is this [lack of appreciation] that provides all the contentment that there is in Mussar. If Mussar was not a hidden thing that the world does not recognize, it would be entirely worthless. It would stand only on the same level as "lamdonus," as a tool of public discourse. Let us be grateful to those who indict Mussar. It is because of them that the little that we do have is genuine and modest, in "hatznei'a leches"... After all, no matter how much positive publicity Mussar receives, all that the publicity achieves is that people will not mock Mussar, not complain against it. To recognize and believe in its depths [pnimiyus] and in the education of hearts in which Mussar deals - that will not happen! Immediately after this consolation (that followed his original complaint) came another complaint: We have acquired something, we feel inside ourselves traces of the impression Mussar has made upon us. When, however, we analyze this impression deeply, we realize that it has only come about because we habitually steer our thoughts in that direction. Our minds constantly review the realizations that they have absorbed from the (8) words of Chazal and the Rishonim. Because of this habit, our hearts have been conditioned to identify the negative components that the Torah perceives as "evil" in any situation. Naturally, the heart then distances itself somewhat from that situation - because it has become conditioned to thinking of it as base - but not because of yir'as Shomayim. ... Several bochurim stood around us. They did not understand the process that was appearing within their daled amos, that Avrohom Elya was standing and revealing his heart before Reb Avrohom... because we were talking in "the third person," i.e., [I would say:] "Some say thus," and he would respond: "And some say thus, and the second opinion is correct - the first one, meaning: yours, is distorted..."
The next day (Wednesday in the week of Ki Savo), I harvested the fruit of my heart's revelation. Several times the Rav alluded to the themes I had expressed before Reb Avrohom. The mail had already achieved its purpose. My heart's meditations had already reached the proper address, following the simple route: From my mouth to Reb Avrohom, from his mouth to the Rav, and from him back to me. 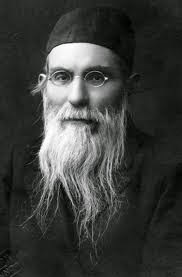 "You complain," the Rav remarked to me, "about our abstract words, about the disputes that float in the air, [you say] that they barely touch upon practice, that they lead to inactivity and quibbling, and that they cast a fog over the eyes so we can no longer see anything simply and satisfactorily," thus the Rav reported my criticisms to me. He did not deny them, but rather battled me on my own terms: "Nu, on the contrary," he stood and asserted, "turn as you say to matters of substance, check and analyze your deeds and your self. Don't become involved in abstraction, for why, indeed, do you need it?" Note: I am indebted to Rabbi Tzvi Kaplan for correcting several errors and to Rabbi Yisroel Leichtman for critiquing and editing my translation. 1. Reb Yaakov p. 85. 2. Slabodka is a suburb of Kovno. 3. Rabbi Nosson Tzvi Finkel zt"l, the Alter from Slabodka. 4. Rabbi Yechezkel Sarna zt"l, later Rosh Yeshiva of Yeshivas Chevron in Jerusalem, then a student in Slabodka, a close friend of Reb Avrohom Elya. 5. 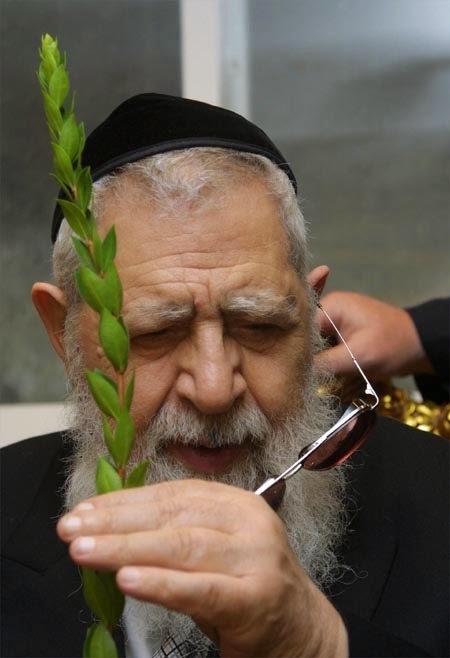 Reb Chaim Meir Gitelson zt"l, later of Jerusalem, then a student in Slabodka, a close friend of Reb Avrohom Elya. 6. Later a Rav in several cities in Polish Lithuania, then a student in Slabodka. 8. Literally: "kneaded from the dough." 9. Literally: "Here the dog is buried!" Rabbi Gershon Eliezer Schaffel pointed out to me that the Alter from Kelm zt"l discusses this subject inChochma u'Mussar vol. 2. chapter 8. 10. Rabbi Avrohom Grodzhenski zt"l hy"d, Menahel Ruchani in Slabodka. 11. For more on the Alter's perspective on intellect, see Reb Yaakov p. 48. 12. This Slabodker perspective, is developed in one of the Alter's shmuessen that Reb Avrohom Elya transcribed (ibid., p. 233). In that shmuess, theAlter said: "All of creation, except for the intellectual reality that man attains within himself, is insignificant! Concede the truth: All of creation is but the knock that a person in a foyer [prozdor] knocks upon the door of a banquet hall [traklin] so that the door may be opened for him to enter. Does that knock possess any independent value? Does the person who has already entered the hall even recall that he once knocked on the door?!... The essence of reality is, therefore, only the goodness a person toils to pursue and then finds. Everything else is but a fleeting shadow..." The rest of theshmuess resembles the one Reb Avrohom Elya recorded here. After negating the ambitions and aspirations of the overwhelming majority of mankind, that are but pale shadows of the purpose the Torah has set forth for humanity, the Alter concludes: "If so much light may be found in the shadow of a reflection of a reflection, how great is the light concealed [or haganuz] in the concealed light itself!" 14. This Slabodker perspective, mentioned briefly here, is perhaps best expressed in another one of the Alter's shmuessen that Reb Avrohom Elya transcribed (ibid., p. 221). In that shmuess, the Alter discusses Chazal's statement (Bereishis Rabba 10:6-7) that every blade of grass is controlled by a malach that causes it to grow. Man casually walks upon thousands of blades of grass, not considering the great wisdom and transcendent purpose of the thousands of malachim upon which he treads. How uplifted a person should become when he realizes how many malachim were created to serve him! His heart should fill with both the glory of this kedusha and emotions of gratitude for this gift. How can one not be ashamed to enter the sanctuary of kedusha that is this world with soiled shoes and dirty clothes? How is he not embarrassed to be engrossed in frivolities while at the same time making use of the malachim created to facilitate man's destiny? The entire world - from its most general principles to its finest details - serves as a reminder at each step we take to be cognizant of G-d, and, bechol derachecha da'eihu, "In all your paths you shall know Him." All these many great malachim were created to enable man to develop his spirituality. Man is the "Rebbe", and all the spiritual forces are "talmidim"created to serve him. How terrible it is, when a Rebbe sins in front of his students! Yet at the very moment that the malach of the blade of grass serves the man who treads upon him, the man who is supposed to make use of all the vast spiritual potential underfoot, that great Rebbe involves himself in frivolities and corrupt behavior. This Rebbe suddenly becomes an animal in the eyes of his student, the malach. A loaf of bread also contains the great wisdom and transcendent purpose of the thousands of malachim that comprise it. The goodness of Hashemmanifest in the bread is another aspect of the great weight involved even in a mundane loaf of bread. The entire creation demands serious consideration, and demands of man that he use its great potential for the right purposes and lishem Shomayim. 15. The next phrase here: "u'bochen kelayos" cannot be translated! HaGaon HaRav Ovadia Yosef zt”l was a giant among giants, one of the foremost poskim (decisors) across the several generations of great poskim during which he was active. The most complex and difficult questions stopped at his desk, and Rav Ovadia either personally authored or served as the primary resource for Teshuvot (responsa) and other Halachic literature across the entire spectrum of both classical and contemporary issues in Torah law. His legacy to the Torah world is breathtakingly broad and deep, and his influence and impact on the eternity of the Torah is beyond anyone's capacity to appropriately – let alone comprehensively – appreciate. Even an attempt to assess Rav Ovadia's derech, his methodology of psak (rendering Halachic decisions), is beyond the scope of voluminous book, let alone an essay in a magazine. Moreover, Rav Ovadia's unique, encyclopedic approach to every issue upon which he writes, would make it a disservice for us to examine his conclusions – even his most famous ones – without an accompanying analysis of the manner in which he proceeded, systematically and comprehensively, from the very verses in Tanach, when relevant, through the sources in Chazal (the Talmudic literature), the Rishonim (the medieval authorities), and the Acharonim (the later authorities). Rather, we will focus here on a very specific aspect of Rav Ovadia's derech – viz., how in his methodology Rav Ovadia followed in the footsteps of the greatest codifier of Halacha – and, specifically, the wellspring of the Halachic systems of the Edot HaMizrach – the author of the great masterpiece, the Shulchan Aruch, Rabbi Yosef Karo (also known as Maran among Edot Hamizrach and as the Mechaber among Ashkenazim, 1488-15751). In a brilliant, essay at the end of the fifth volume of Shu”t Yechaveh Da'at, Rav Ovadia expounds on the principles that underlie the Mechaber's psakim in the Shulchan Aruch. And it occurred to me to determine Halacha and decide among the various opinions, in accordance with the ultimate goal of forging one Torah and one Code of Law. But I perceived that if we would attempt to determine the law from among the various opinions by following the form of Talmudic discussions – viz., by asserting positions and mustering evidence – then we would encounter the Tosafot,3 the Ramban (Rabbi Moshe ben Nachman, 1194-1270), the Rashba (Rabbi Shlomo ben Aderet, 1235-1310), the Ran (Rabbi Nissim of Gerona, 1320-1376) and other Halachic authorities, and be entagled in contradictory positions and evidence. Who is so bold as to place his head between these towering mountains and decide among them?! Our intellectal powers are inadequate to fully understand the profundity of their writings, let alone to assert the superior knowledge required to decide among their positions! I therefore decided, that since the three great pillars of Halacha upon which our nation rests are the Rif, the Rambam and the Rosh, therefore, wherever two of them are in agreement, we should rule accordingly – with rare exceptions of cases in which all of the sages of Israel or most of them disagree with their position, and in which, accordingly, a custom contrary to the positions of the three great pillars has been established. In a case in which one of the three great pillars has not expressed an opinion, and the two other pillars are not in accordance, then there are before us the Ramban, the Rashba, the Ran, the Mordechai (Rabbi Mordechai ben Hillel, 1250-1298) and the Semag (the Sefer Mitzvot Gadol, Rabbi Moshe of Coucy, a Tosafist of the first half of the thirteenth century). It is surely the Divine will that we should follow in the direction to which they tend, so we will rule in accordance with the opinion to which most of them are inclined. Rabbi Yosef Karo composed the Beit Yosef on the Tur, in which he omits none of the opinions of those who preceded him. He barely left any room to improve on his work. However, in his Halachic decisions he made many compromises in matters of issur v'heter (matters that are forbidden vs. matters that are permitted) based on his own sevarat ha'keres (literally, “the logic of the stomach,” a derogatory appellation bestowed upon a logic perceived as baseless – also known, in Yiddish, as a boich sevara) as if he possessed such a tradition from the days of the ancients. He goes against the traditions that we have received from our masters, and by which we conduct ourselves to this day. And the students who follow his rulings do not realize that they are risking their souls, for in relying on the three greats – the Rif, the Rambam and the Rosh – he rendered decisions against the positions of the Tosafot and their adherents. The Rav HaMechaber of the Beit Yosef's nature was to incline to focus on the great [pillars]. Hence, he always ruled on the basis of the “two or three witnesses,”4 the adored great authorities – the Rif, the Rambam and the Rosh. He did not concern himself with the other great authorities – viz., the Tosafot, the Mordechai and their adherents. Yet in most cases, we (viz., the Ashkenazic communities) rule in accordance with their opinions, as stated by the Mahari Weil (Rabbi Yaakov Weil of Erfurt, of the first half of the fifteenth century) in his responsa, siman 171. Thus, according to the Beit Yosef, all of the customs that prevail in our [European] countries, are null and void! For in truth in all these regions we have accepted upon ourselves the words of the Rif, the Rambam and the Rosh. Their Halachic decisions are binding upon us, whether they are lenient or they are stringent, whether they exempt a person or they obligate him. But what of the great principle of acharei rabbim l'hattot – “follow the majority?”6 If a preponderance of authorities, to the extent that they constitute a majority, disagree with the three authorities upon which the Mechaber relies, how could he ignore them and rule against them? Rav Ovadia suggests7 an explanation based on the principle that a majority of judges only overrule a minority of judges when they have considered a matter as a group, in face-to-face deliberations in a court of law. In such cases, when the majority rejects the view of the minority, the view of the minority is nullified. This principle, however, does not apply to cases in which authorities have issued their rulings separately and independently, in their writings, across the span of ages. In such cases, explains Rav Ovadia, an argument can be made that if the majority had been confronted by the logic of the minority, they would have changed their minds and conceded the point. Accordingly, writes Rav Ovadia, it is possible that theMechaber did not feel bound to take the other authorities into account – since, had they been confronted by the Rif, the Rambam or the Rosh and the logic of their positions, they may well have reconsidered. Rav Ovadia thus postulates two twin principles that underlie the psakim of the Beit Yosef: 1. We follow a majority; 2. That majority is among a circumscribed group of authorities. It is possible to trace these principles in Rav Ovadia's own methodology of psak. Although, as we have mentioned, whole books must - and will – be written about his methodology, we will have to suffice with two examples. The Rivash was asked about a Sefer Torah in which the Sofer (Scribe), by way of punctuation, deliberately left gaps the size of the width of a letter between each of the pesukim (verses). The Rivash begins his response by noting that in Massechet Sofrim14 we find that a Sefer Torah with actual punctuation marks is pasul (invalid). The Rivash notes that, on the one hand, the Rashba confirms this ruling – although, on the other hand, the Rambam does not mention it. However, writes the Rivash, it is possible that even if we accept the opinion of the Rashba that the ruling in Massechet Sofrim is the law, it is possible that the ruling applies only to punctuation marks written in ink, but not to punctuation by gaps. The Rivash explains that the distinction: Inked punctuation marks never occur “naturally” in a Sefer Torah, whereas gaps do “naturally” occur in any handwritten document. Therefore, rules the Rivash, so long as the gaps are not as wide as the breaks between parashiyot – the gaps that mark the “open” (petuchah) and the “closed” (setumah) paragraphs in a Sefer Torah – the Sefer Torah remains kosher. Both Reb Moshe and Rav Ovadia extrapolate from the Rivash's case to the case they are considering – viz., a Sefer Torah in which the punctuation marks are etched – without ink – into the parchment. Reb Moshe argues that the Rivash's distinction cannot be taken at face value – for although an occasional gap may occur by chance, there is no way that more than 5800 (the number of pesukim in the Torah) gaps – in the exact places where pesukimbegin and end – would occur by chance! Rather, writes Reb Moshe, we must focus on something the Rivash wrote earlier in his teshuvah – viz., that gaps are not the same as actual punctuation, in that they do not intrinsically separate the verses, but only serve to indicate to the Ba'al Keri'ah how to intone his reading. Now, were gaps never to occur “naturally” they would constitute intrinsic separations between pesukim – just like inked marks. But since they do occur naturally and randomly, they cannot be regarded as intrinsic separations between pesukim. Reb Moshe argues that since indentations etched into the parchment of a Sefer Torah can only be understood as punctuation by one who is familiar with the “code” the represent, they also cannot be regarded as intrinsic separations. Hence, concludes Reb Moshe, a Sefer Torah punctuated by such indentations is kosher according to the Rivash. Reb Moshe relies on his analysis of the Rivash to reject the opinions of several other authorities, including the Maharam Schick (Rabbi Moshe Schick of Yeregin and Huszt, 1807-1879”).15 This is a manifestation of Reb Moshe's methodology of psak, which relies heavily on independent analysis of selected definitive sources. Rav Ovadia, on the other hand, rejects Reb Moshe's analysis. He notes that Reb Moshe was evidently unaware of a preponderance of other authorities – besides the Maharam Schick – who invalidate such a Sefer Torah. He therefore proposes an alternative explanation of the Rivash – an explanation that would put the Rivash in line with the prepoderance of authorities – viz., that only a symbol of punctuation that could otherwise occur “naturally” - i.e., a gap – is permitted, whereas any artificial symbol of punctuation – including an etched indentation – invalidates a Sefer Torah. Rabbi Eliezer Waldenberg zt”l (the Tzitz Eliezer) and Rav Ovadia disagree on the question of whether it is permissible to enter a mosque. The Ran17 explicitly prohibits entry into a mosque.18 However, no such prohibition appears either in theRambam's Mishneh Torah or in the Shulchan Aruch. The Tzitz Eliezer19 takes the position that when a Rishon's ruling is available to us, we must follow it. As the Ran is a Rishon, we are bound to follow his ruling. Accordingly, he forbids entering a mosque. Rav Ovadia,20 on the other hand, maintains that the ruling of a Rishon that is not codified in the Mishneh Torah or in the Shulchan Aruch is not binding upon us. The one definitive ruling of the Rambam that may bear on this issue, is his ruling that Islam is not considered Avodah Zarah.21 The inference of that ruling is against the ruling of the Ran. Rav Ovadia therefore rules that it is permitted to enter a mosque.22 This curtailing of the scope of authorities to exclude the Ran – even by inference – is an almost precise reflection of Rav Ovadia's presentation of the second principle of the Mechaber's methodology. We did not propose, nor purport, to present anything resembling a comprehensive appreciation of Rav Ovadia's vast and profound contributions to the Torah world in general, even specifically to the Halachic process. Nevertheless, we have identified two important principles of psak that Rav Ovadia both elucidates and deploys. Perhaps we can use these principles as examples to contemplate, to extrapolate from them and realize that there many other such principles and vast numbers of expositions and applications of such principles across dozens of volumes of Yabi'a Omer, Yechaveh Da'at, Chazon Ovadia and Yalkut Yosef. This contemplation would then serve us well to begin to appreciate the breathtakingly extraordinary scope of Rav Ovadia's legacy to Am Yisrael and our eternal Torah. 1The Mechaber was born in Toledo, and his family was one of those banished from Spain in 1492 and from Portugal in 1497. He lived in Turkey until 1535, when he moved to Tzfat, where he completed the Shulchan Aruch in 1555 and published it in 1565. 2The Arba'ah Turim, the forerunner to the Shulchan Aruch and its basis, written by Rabbi Yaakov the son of the Rosh (ca. 1269-ca. 1343). 3The commentaries of approximately 130 German and French authorities of the twelfth and the thirteenth centuries, most of whom were descended – literally, or intellectually – from Rashi (1040-1105). 6See Shmot 23:2. The principle is expounded in the famous story of the disagreement between Rabbi Eliezer ben Hyrkonos and the rest of the sages that is related in Bava Metzi'a 59b. 7On the basis of an explanation of Shu”t Torat Emet siman 207 in explanation of Tosafot in Bava Kamma 27b. 8On the basis of Get Pashut klal 6 d”h Gam. 9See Eduyot 1:5 and the Ravad's commentary ad loc. 10He notes that the Radbaz (4:116) disagrees with this position, and therefore goes on to present an alternative basis for Maran's reliance on the Rif, the Rambam and the Rosh – particularly on the Rambam. Rav Ovadia then discusses Maran's approach to Rashi and the Tosafot; the extent to whichMaran's rulings have been accepted; and the status of the Rema's rulings for Edot HaMizrach. 11Shu”t Igrot Moshe, Yoreh Deah 3:117. 14One of the several minor tractates of the Talmud that consist primarily of braytot on specific topics in Halacha and Agada. 15Shu”t Maharam Schick, Yoreh Deah siman 278. 16Although beyond the scope of this essay, it is worth noting another aspect of Rav Ovadia's methodology that is manifest in his ruling here. The Sifrei Torah in question are Yemenite Sifrei Torah. They have such etched punctuation marks on account of the Yemenite custom to have the person who receives an aliyah to read his Torah portion. Since not all persons receiving aliyot are acquainted with the punctuation of the pesukim, such etchings serve to let them know the location of the middle and the end of a pasuk. A major Yemenite posek, Rabbi David Mashariki, permitted such Sifrei Torah (Revid HaZahav siman 29). Hence, noting the concept of a Mara d'Atra (local rabbinic authority), Reb Moshe takes into account that a Yemenite authority permitted such Sifrei Torah in issuing his own lenient ruling for Yemenite congregations. Rav Ovadia, on the other hand, is known to have been of the opinion that all Edot HaMizrach should unify their customs of the basis of the standards promulgated by the Mechaber in the Shulchan Aruch. He therefore takes the position that the concept of Mara d'Atra should not be applied to this case, and accordingly issues his own stringent ruling – even for Yemenite congregations. 18The Ran makes it clear that he does not regard Islam as Avodah Zarah. He opines, however, that the veneration of Mohammed that Moslems practice in their mosques is tantamount to an idolatrous practice, and that it is therefore forbidden to enter the places in which such veneration is practiced. 20Shu”t Yabi'a Omer vol. 3, Yoreh Deah siman 15. 21Hilchot Ma'achalot Assurot 11:7. See, in greater detail, Shu”t HaRambam siman 448. 22While beyond the scope of this essay, it is noteworthy that the methodology of the Tzitz Eliezer here is similar to the methodology of the Chazon Ish zt”l in the great International Dateline debate, while Rav Ovadia's methodology is similar to that of Rabbi Tzvi Pesach Frank zt”l in the same debate(see http://www.chabad.org/library/article_cdo/aid/1736567/jewish/The-Sabbath-the-International-Date-Line-and-Jewish-Law.htm and http://www.koltorah.org/ravj/The%20International%20Date%20Line%20and%20Halacha.htm). Why we need the DE designation! Please bring back the DE designation, and enable us to make informed decisions instead of circumventing the designations you put in place. Isn't that the entire point? Please stop assuming that people are uninformed, and stop speaking to the lowest (knowledge) common denominator. If we can understand what D means, we can understand DE. Bring it back! OU Kosher Thank you for contacting the OU. At the Orthodox Union we value all opinions and appreciate the effort you to take in making us aware of what is important to you. Some kashrus agencies use a DE symbol to denote products that are made on Dairy equipment but do not contain any actual Dairy ingredients. The OU has chosen not to use a DE designation to minimize the possibilities of confusion for the kosher consumer. Also, to be a true DE product, the equipment must be properly cleaned of residue after a dairy production, and that level of cleanliness is sometimes difficult to maintain and guarantee. or participate interactively through Google Hangout. Arab Terror against Jews: Will it never stop?